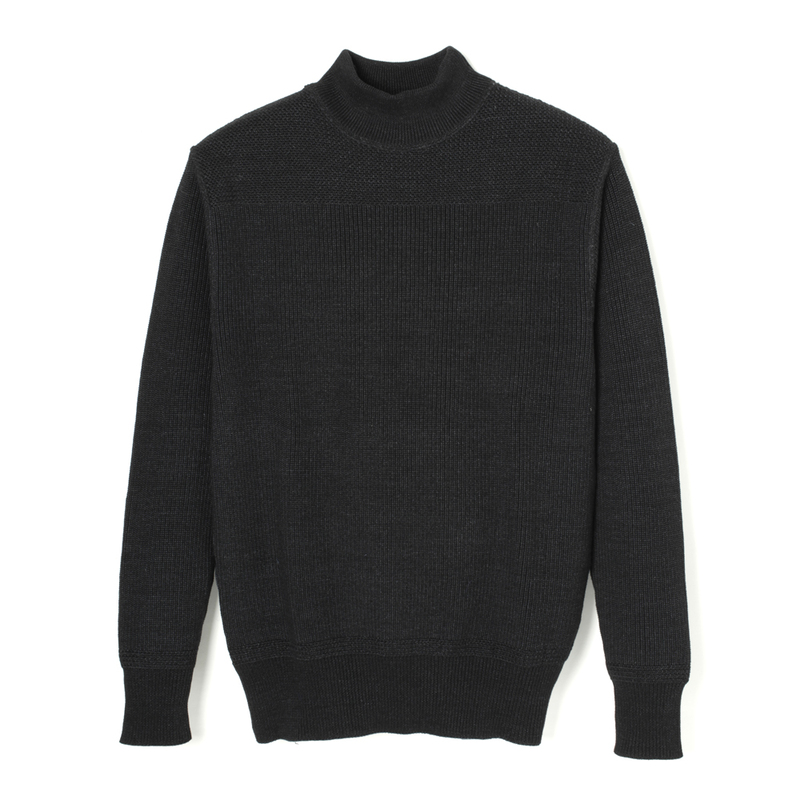 A turtleneck sweater made using a mid- gauge knit (7G) woven with rope-dyed indigo yarn. The design is based of a 1940s U.S. Army sweater. The fabric is made of two-ply 30 count (30/2) yarn, and altered to a modern refined silhouette. The U.S. Army type is rare, compared to the U.S. Navy turtleneck sweater and features rack stitching on shoulder, providing more shoulder movement.